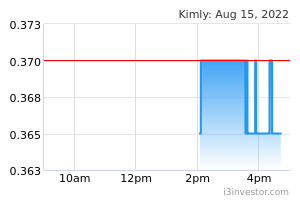 Kimly Limited, an investment holding company, operates coffee shops, food courts, and food stalls in Singapore. The company’s Outlet Management segment engages in the sale of food, beverages, and tobacco products; leasing of food outlet premises to tenants; and provision of cleaning and utilities services to tenants, as well as management services to third party coffee shops. It operates and manages 60 coffee shops and 4 industrial canteens under the Kimly brand and third party brands; and 4 food courts under the foodclique brand. The company’s Food Retail segment is involved in the retailing of cooked food directly to consumers through the company operated Mixed Vegetable Rice, Rice Garden, Dim Sum, Zi Char (Seafood), Teochew Porridge, Live Seafood Restaurant stalls. This segment operates 129 stalls comprising 33 Mixed Vegetable Rice stalls, 16 Rice Garden stalls, 46 Dim Sum stalls, 31 Seafood Zi Char stalls, 2 Teochew Porridge stalls, and 1 Live Seafood restaurant stall. The company also provides management services. Kimly Limited was founded in 1990 and is headquartered in Singapore.